Agent Mino Raiola is working hard to keep up his reputation as a super-agent. The Dutch football agent has some of the finest footballers on the planet as his colleagues, and he is now eyeing a cut of a deal for one of his brightest players. According to reports, Raiola is keen to insert a sell-on clause in the new contract of Italian shot stopper Gianluigi Donnarumma. The 18-year old is arguably one of the most exciting teenagers in Europe at the moment, and has been in excellent form for AC Milan this season. He is contracted with the club till 2018 only, and this has seen a host of clubs already scout for him for a move this summer. The likes of Manchester City and Chelsea have been constantly looking at Donnarumma as a possible addition to their squad and it is believed that the Italian outfit will receive some bumper offers for the player this summer. 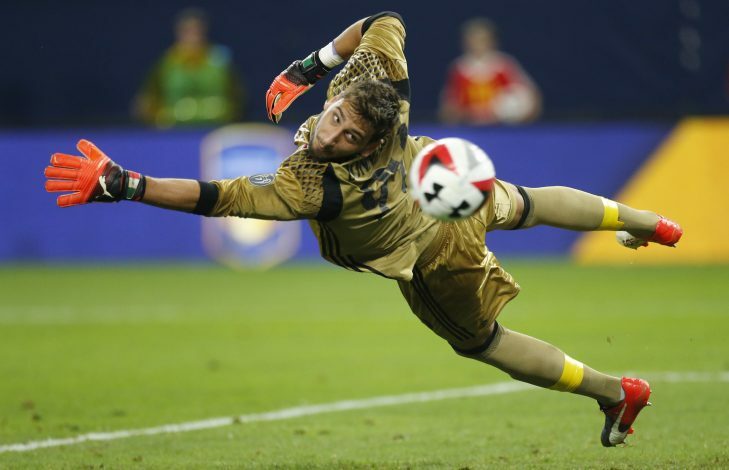 At just 18, Donnarumma has already gained some valuable experience, and could cost a fortune for most clubs this summer, and it is now reported that Raiola is looking to steal a part of that fortune. The Milan outfit are ready to offer Donnarumma a new insane contract to ward off interests from clubs in Europe, and Raiola wants a clause in this contract which will see him get paid if and when the 18-year-old switches clubs in the future. The agent pocketed £25m from Juventus’ sale of Paul Pogba to Manchester United, and it is understood that Donnarumma might give him more than that value if the clause is inserted in his contract.